In the final 30 seconds of a round, I’m the last defender alive against a 3 strong enemy team. Armed with a shotgun and some slyly placed bear traps I lay prone against a wall, close to the objective. The first attacker jumps through the window and is immediately caught by a trap. 8 seconds. Whether through team communication or the pressing time limit, the third attacker rushes into the room without a second look to their surroundings. I’m pleased with how that played out. Today, Rainbow Six Siege is almost unrecognisable from the tactical, first person shooter we were served back in December of 2015. More playable characters, maps, noticeably less server issues and a limited time Left4Dead style event mode in the form of “Outbreak” released in Q1 of 2018 – over now, but expect more of this type of content in the future. The core gameplay hasn’t changed. It’s still the same, strategic, multiplayer game that rewards caution, observation and thinking outside the box. To many, it’s a fresh alternative to the endless respawning of Battlefield, the armour plated soldiers of Halo 5 or the whacky run and gun of Overwatch (and all the rest). All of these games have a place on the market, often with wild success. 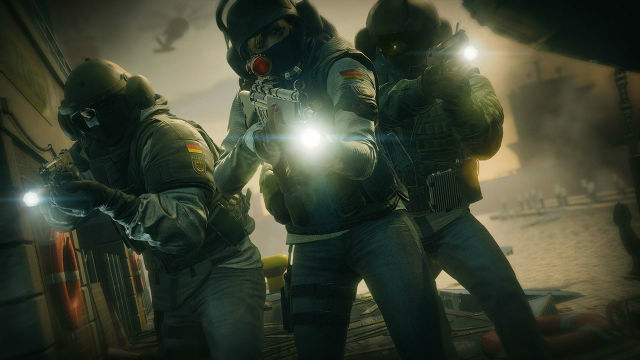 R6 Siege has its own place, and the very active, continued community support from Ubisoft Montreal has proved a boon to the game’s player count and overall satisfaction. For good or ill, this is not the franchise you remember. Gone are the hefty single player components of “Vegas” and the challenging squad management of “Rogue Spear”. Single player content comes in the form of 10 “situations”. Optional challenges add some replayability but these missions ultimately serve as extended tutorial scenarios. They familiarise you with the gunplay and a few of the characters on offer (you solo all ten missions, no team) before jumping into multiplayer playlists. Buyer beware, this is not a fully fledged “single player campaign”. If you’re looking for heavy narrative, you’ll be disappointed. 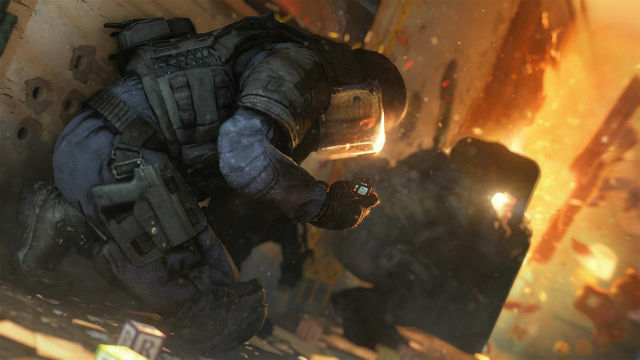 A limited co-op experience is available in the form of “Terrorist Hunt” where five players team up to take on AI enemies, defuse bombs, and rescue or defend a hostage. The limited-time Outbreak component, where 3 players take on hordes of monsters in objective based modes, went some way to remedying the lack of variation (2 and a bit years since release) and even introduced some more involved storytelling, but it was rather bare bones and by no means a full, narrative focused experience. For all intents and purposes this is a multiplayer focused “Hero” shooter. Team Rainbow is formed of named operators (“Sledge” has a sledgehammer, “Fuze” has an offensive explosive etc.) from various well known Special Forces teams: The British SAS, French GIGN, The FBI etc. Continuing updates have added a multitude of new members from different national agencies (currently 38 available operators), but the game layout remains the same. At the start of a match, two teams of five take turns attacking and defending. A minute long “preparation” phase sees attackers on drones trying to locate the enemy, and defenders scrambling to set up traps, reinforce walls and take advantage of positioning. By this point you’ll have chosen an operator, each of whom uses a unique skill or gadget to give their team an advantage/counter the abilities of the opposing team. Trying to plant a breach charge, but it’s stopped by a signal jammer? No problem, throw an EMP grenade at the wall before breaching. Need to stall the attackers from advancing on your position? No problem, plant explosive laser trip wires along their suspected route. This ongoing game of “battle tic-tac-toe” provides many of the emergent moments that see the game at its best. If you didn’t choose the correct operator to counter a certain enemy ability, then you just have to deal with it. Live with the consequences and adapt on the fly. One life per round forces players to think about their actions: a couple of bullets will floor you and a headshot means instant death. Side note: friendly fire is very much ON. It’s tough but fair and you can win with any combination of operators, depending on the tact of your team. With the ever expanding roster, some of the newer abilities can feel slightly “eccentric” but thankfully, balanced. The ability to make everyone’s phone ring or limited X-ray vision may seem slightly ridiculous or overpowered at first glance, but they serve a specific purpose. They make sense within the game’s world when you peel back the layers. During my playtime, I’ve not encountered a character that wrecks the formula or breaks the game, and props to Ubisoft Montreal for keeping that balance with relative success, buffing or nerfing accordingly with each update and listening to the feedback that follows. Coupled with the hugely destructible environment (successfully implemented here on Ubisoft’s own Anvil Engine) there are almost limitless strategic choices. Bullets pass through structurally weak walls, wooden floor boards, grenades take chunks out of doors, any surface (with a few exceptions) can be obliterated providing you’ve brought along the right equipment. These systems provide the aforementioned emergent gameplay where no two matches play out the same. It’s kept the fatigue of repetition at bay in a game that really only has one primary mode (There is a thing, go to the thing, the enemy will stop you from getting to the thing). In-game progression comes firstly in the form of a player level. Experience is earned with each match. It’s window dressing and really only matters to new players where Ranked play is barred before level 20. It can signify how good a teammate/enemy might be but you’ll find plenty of high level players making odd tactical decisions and vice versa. The real progression is earning “renown”, the in-game currency awarded after completion of any game mode. It unlocks new operators and all manner of skins for your characters and equipment. Unlocking the first few player characters is fairly painless and cheap. The original operators are some of best and you’ll soon have a relatively balanced roster. Further down the line however, you’ll run into the standard 25000 renown price tag. Each R6 year is split into 4 “seasons” and each season usually introduces (for free) a new map and 2 new operators each with a 25 thousand renown requirement. Purchase a Season Pass and you’ll get instant access to these characters a week before the rest of the community, but as an average Joe, this can be a serious chunk of change. I’ve played a fair amount and you’ll receive between 200-400 renown per match won (around half for a loss). This new content requires you to save over a period of time, but it’s not pay to win. These operators will have no particular advantage over the ones you already own, it’s up to you if you want to pony up the dough. As well as Season Pass options there is “platinum”, a premium currency purchased with real money. Gamers often feel uneasy at the mention of micro-transactions but R6 “loot crates” are COSMETIC ONLY. Everything can be earned in game and you’ll often receive free skins at random intervals just for playing. I haven’t spent an extra penny on R6 Siege since the original purchase. This all ensures that 2018 is the perfect time to jump into R6: Siege, especially if you haven’t already. 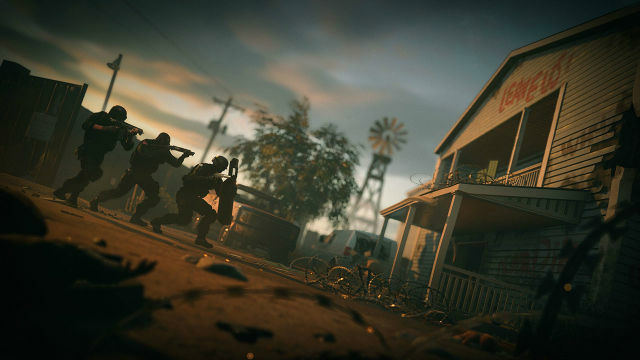 Thoughtful, tense, “every choice matters” gameplay, and an ever expanding roster of operators and maps, make Rainbow Six: Siege one of the better “thinking mans shooters” in recent times, and one of the best competitive multiplayer titles on the market in spite of its few game modes. Next articleLooking back at 10 years of… GTA IV – Do You Want To Go Bowling?